Our online estimator, HepCalc can help you through every step of the process. Just enter your room dimensions, either manually or through the Magic Plan room planning link, and we will take you though the process step-by-step, and generate a list of materials and a list price quote. Generate a list of materials to take to your local stockist. You’re in for a chance to win £100 for every quote completed! Simply take your quote to your stockist to place your order. 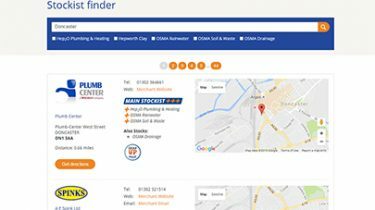 Our products are available from plumbers and builders merchants nationwide and selected trade outlets. Visit our stockist locator and find one near you.